Merit Badges going in the mail. 1. There are a lot of people building the bike community. Even though it’s happening largely under the radar of any big media, you all are already out there, spreading the bike love. From leading rides and supporting new riders, to volunteering on bike-ped committees and hosting travelers – the breadth of work that’s happening to grow a bike-friendly world is astounding. 2. You all are eager for a way to say Thank You. In almost every email we’ve received, there’s some variation of “I can never repay them.” You have been inspired, educated, and supported by some truly wonderful people – and there hasn’t been a mechanism to honor their contribution. 3. This isn’t as niche as we thought. We had this wacky idea to make some patches and offer them up as a merit badge. We thought we’d receive a few responses, probably nominating many of the same folks we want to honor. Instead, our email inbox is full of stories about everyday heroes across the world. We are humbled to learn about and honor these people. But, wow, we need to order more patches! Thank you to everyone who has nominated your personal bike heroes! Please continue to send us stories of the inspirational folks in your lives, so we can continue to honor them. 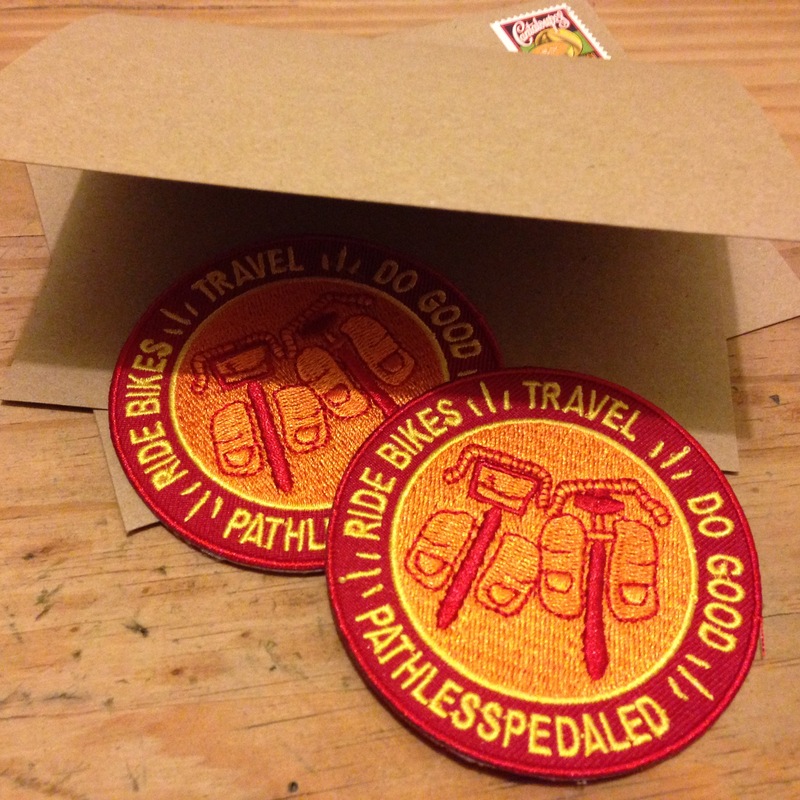 Instructions to nominate someone for a #RideBikesTravelDoGood merit badge are here. Love what you are doin’.